A friend on the western border of Thailand sent me a email asking about treating malaria with hydrotherapy. This makes sense because a lot of the malaria in this area is resistant to preventives and can lead to cerebral malaria, which if it doesn't kill, often leaves the person with major brain damage. I know this because I taught hydrotherapy up on the Burma border about 20 years ago and saw the results of malarial infection. 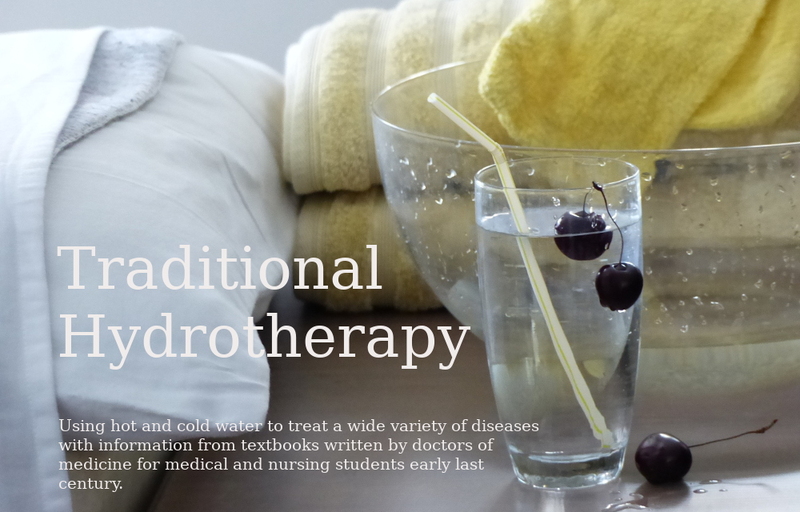 The Traditional Hydrotherapy page on Malaria lists a lot of treatment methods but basically it is a heating treatment until the patient starts sweating and then a Graduated Tonic Cold which is a short cold treatment. Then the patient is wrapped up warmly to sleep and for other treatments. As with all treatment, the sooner it is started, the better. One of hydro's great advantages is that it doesn't interfere with other treatment and even if we have misdiagnosed, it won't cause any damaging side effects in most cases. So... if it looks like it may be malaria, start treating it straight away before the patient gets weak. On days 1,2 and 3 do something to get the patient sweating (but make sure they have a Cooling Compress on their head). The hill tribe people I worked with wrapped a patient in black polythene plastic out in the sunshine, to achieve sweating. Once sweating started do a quick cold treatment. The tribe's people would quickly dunk them in the very cold river. They are kept warm between treatments. The principles are much the same for all fevers. If you have experience at treating malaria successfully with hydrotherapy, please contact me.